This is my sister-in-law's bag. Pattern used was same as the modified Novita Estiti's (modify little more). 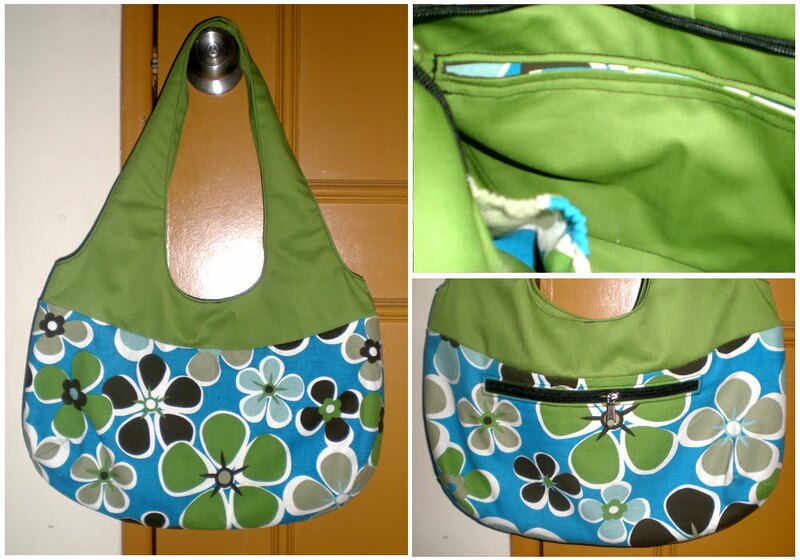 I added zipper as closure and 3 pockets with the zippered one outside and the other two inside. I used different fabrics for both lower and top parts. The lower one was English cotton while the top was unidentified (I forgot to ask the salesgirl) :).